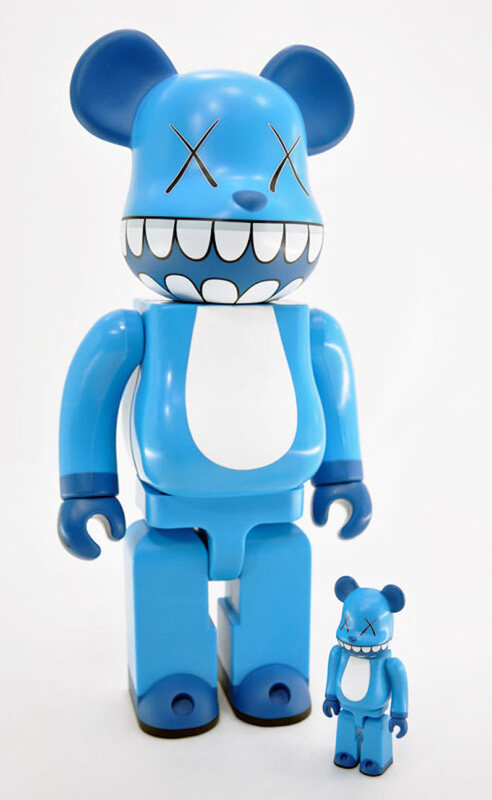 This Bearbrick is born from KAWS “Chompers” artwork and Japanese music festival a-nation. For those unfamiliar, a-nation is a series of summertime concerts that occurs every year across Japan in August. Combining the tradmarks of KAWS, the “X”-ed out eyes and the “Chomper” teeth, with the blue from a-nation, this was released on Oct. 24, 2003 and was available until Nov. 10 of the same year. It comes from a very small production batch, initially sold only in Japan or on the Bearbrick online shop.